Maybe it’s not what most people do, but then again, I never claimed I’m like most people. It happened in the rainforest of Sri Lanka. 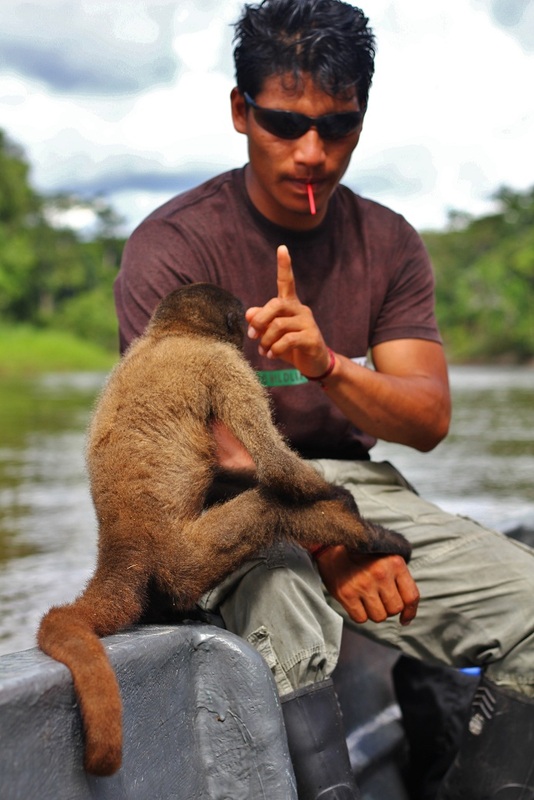 I was there to conduct field research for my thesis a couple of years ago when, suddenly, my local guide kind of attacked a bush with one hand and then carefully pulled what seemed like a green string out of there. How he managed to spot it in the thick vegetation was a mystery to me, as it was highly camouflaged. However, when I saw what he held in his hand, my face must have been shining like crazy. Those intense yellow eyes and the bright, almost glowing green skin blew my mind. 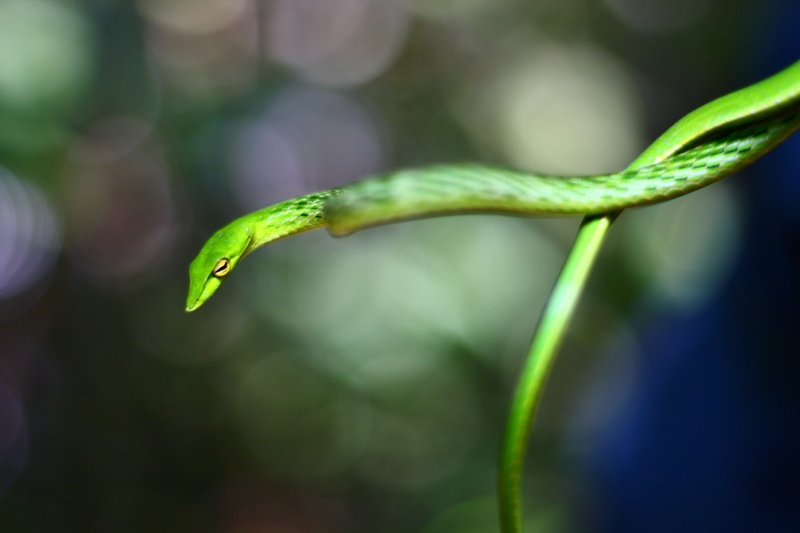 It was a Green vine snake, endemic to this island off the southeast coast of India, and crazy beautiful in my eyes. I love love love all these little wonders that nature has created, and it was with a heavy heart I left the country with tons of indicators and proofs of how these wonders’ habitats are rapidly decreasing. In Sri Lanka’s case it’s mostly due to over-population and small scale farmer’s invasion of forested land to establish cash crop plantations, such as our beloved tea. Globalization in a nut shell.